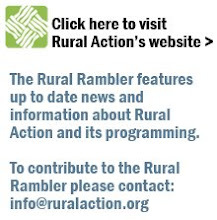 The Rural Rambler: Sustainable Agriculture Update: Big Chesterhill News and More! Sustainable Agriculture Update: Big Chesterhill News and More! Harvest time may be over, but for Rural Action's Sustainable Agriculture program that only means trading parsnips for paperwork as preparations for next year's growing season begin in earnest. The headliner being the Chesterhill Produce Auction and it's future as a part of Rural Action. Acronyms ahoy in this latest update from Sustainable Ag on all the great (and delicious) work being done to bring locally grown food to your table. As we enjoy the end of this year's Chesterhill Produce Auction (CPA) and prepare to finalize it's purchase by Rural Action, we're very enthusiastic about the future of this incredible community resource. The CPA was quite successful this year, with an approximate 10% increase over last year's sales and a significant increase in vendor participation as well. A new development will see the Spring debut of a refrigerated truck (see below) recently purchased to assist in the distribution of food from the CPA and which will also be available for rental by local farmers and others. 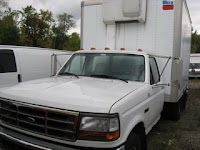 Purchased from AVI Food Systems Inc., Bob Fedyski acquired a Ford F450 diesel reefer truck which, being diesel, will permit the exploration of the use of renewable fuels like bio diesel and grease, which opens up the potential for barter of, at least partial, delivery/rental fees. Americorps volunteer, Rose Roe, has been hard at work identifying and quantifying existing CPA customers for a report being written for the Central Appalachian Commission (CAC). 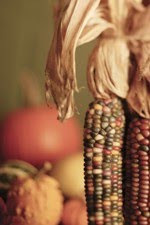 Rose has also been finishing up work she has been doing for the Appalachian Staple Foods Collaborative (ASFC). Tom Redfern, Sustainable Ag's fearless and intrepid leader, while directing all Ag. efforts, has been simultaneously getting more investors together for the CPA, working with the Appalachian Regional Commission (ARC), Central Appalachian Commission (CAN), and organizing for all next year's work, including the Innovative Farmers of Ohio (IFO) conference to be held in Athens, March 2010. Bob has also been working on the Athens Food Policy Council, representing Rural Action Sustainable Agriculture., with representatives of ACEnet, Community Food Initiatives (CFI), the ASFC, local farmers, and community members. To find out more about any of these initiatives contact Rural Action Sustainable Agriculture at 740-767-4938 and to keep up with the latest in local food how you can eat with the seasons, don't forget to check out the Ohio Foodshed Website! Look for it Next Spring!